“Look it up in Webster’s.” A work with such brand recognition that it goes simply by the author’s last name, An American Dictionary of the English Language is the topic of a new exhibit at the Noah Webster House & West Hartford Historical Society. While Webster did not invent the dictionary, what he did do was no less important. He wrote the first American dictionary for the country he helped to shape. 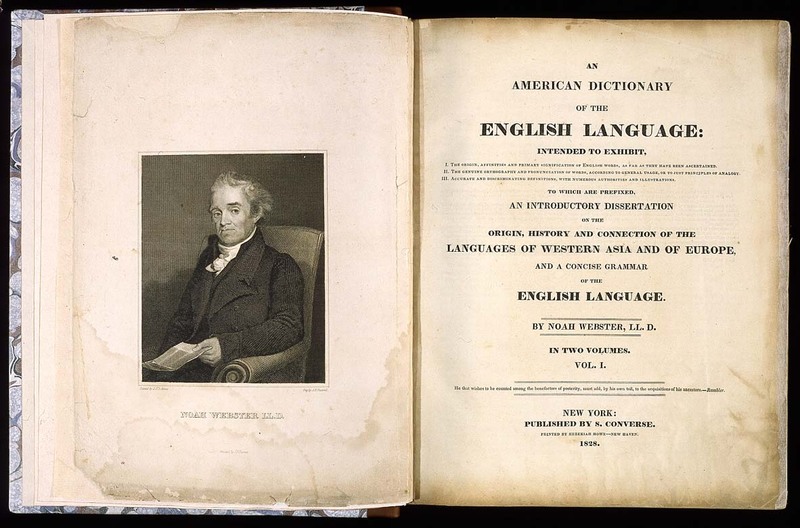 Webster sought to unite the people of the new nation by establishing a common American language. The exhibit looks at Webster’s early work and influences and also explores the relationship with Charles and George Merriam who, after Webster’s death, purchased the rights to An American Dictionary as well as the remaining unsold copies to sell in their shop. Today, Merriam-Webster Incorporated maintains the spirit of Noah Webster and the essence of his life’s work by chronicling the ever-evolving American English language.